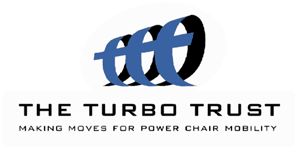 The Turbo Trust gives grants to individuals for specialist powerchairs and the costs of maintaining them. The Turbo Trust grant committee makes decisions on individual applications as necessary. There are no pre-scheduled meetings, as we do not want to make applicants wait for a decision if the rest of their funding has been agreed and it would be possible for the trust to enable an order to be placed. When an application is received with all its supporting documentation, we will contact the applicant to see how we can help raise the amount necessary, in collaboration with others, both through the Turbo Trust and from other sources. 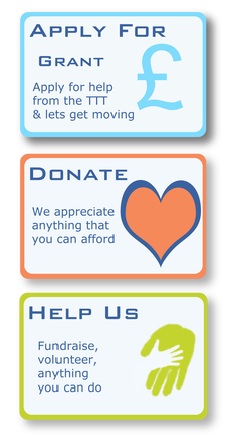 We will try to keep in touch throughout the fund raising period to make sure that the equipment is provided as soon as possible, in the light of all the resources available to the applicant. We do not operate a means test. It has to be supplied with at least a three year warranty and recipients need to be in a position to find the costs of maintenance over this period (Turbo Trust grants can also cover this). The equipment for which maintenance is required must be of the type that might have been bought with a grant from Turbo Trust, even if acquired by other means. Grants are made for the purchase of goods and services for named individuals and once invoices are paid by Turbo Trust the ownership of these goods and services resides with the beneficiary of the grant. No payments are made direct to the beneficiary, however, only on presentation of agreed invoices from the supplier. We do not contribute towards powerchairs which do not meet our criteria, above, nor towards any other kind of mobility equipment. We reserve the right to approve suppliers to ensure that high standards of quality, customisation and service are upheld. Types of powerchairs that are available to be paid for in full and supported entirely through NHS wheelchair services are specifically excluded from our remit. However, joint funding of the kind of powerchairs that meet our criteria may be considered with all kinds of partners, including statutory sources. Make sure you have had a professional assessment of your mobility needs by a specialist powerchair supplier or therapist. Ask a care professional to write a letter of recommendation for this particular equipment, confirming that it is suitable for your needs. Then download the Application form and Guidelines below. Print and complete the form and send it by post to the address on the form, enclosing a copy of the quotation. If you have a letter of support already, enclose this with your application. If not, just give the contact details for your referee. If you do not have Adobe Reader, please follow this link and download the free version from the page which loads.